Revive and renew your skin on a daily and nightly basis with Elemis Cellular Recovery Skin Bliss Capsules. A concentrated blend of rich moringa pterygosperma oil, lavender, and rose deeply nourishes, moisturizes, and protects skin for a more revitalized, refreshed, and alive complexion. 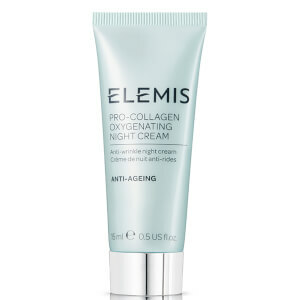 Ideal for those of all skin types, especially mature and aging, who want brighter, softer and more protected skin. Use 1 pink capsule in the morning and 1 green capsule in the evening. Twist the top of capsule off and warm the oil in your palms. Massage onto clean face and neck skin. Moringa Pterygosperma Oil moisturizes and protects. Lavender soothes and softens. Rose clarifies and brightens. I've used this line for years. The skin bliss caps are soothing to my skin and smell wonderful. The only downside is that I use 2 - 3 caps each time. Wish they were a little less expensive but I like them enough to continue to purchase them.